Marinetek Heavy Duty Pontoons represent the latest know-how in pontoon technology and are the most widely used structural concrete pontoon models, favoured for private use as well as for the biggest marinas. Designed for boat mooring in modern marinas and landing stages, fully and heavily reinforced pontoon units are seaworthy, very strong and maintenance-free with a high loading capacity and very long service life. The pontoons are connected by ﬂexible rubber bolt joints, cornerwise and sideways if required, and can create the strongest mooring points for large marinas. 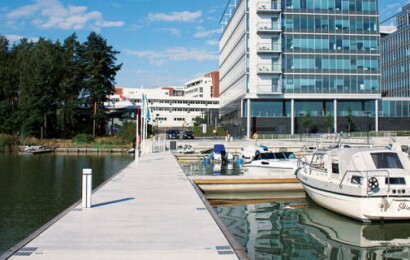 The models optimise use of materials to generate an economical but very durable pontoon for any marina. 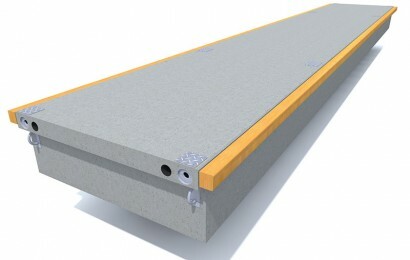 Modules are available in a range of standard sizes 2,4-4,3 m wide and weighing 8-20 ton. The series is offered with a range of optional accessories that can be incorporated to customise each system. 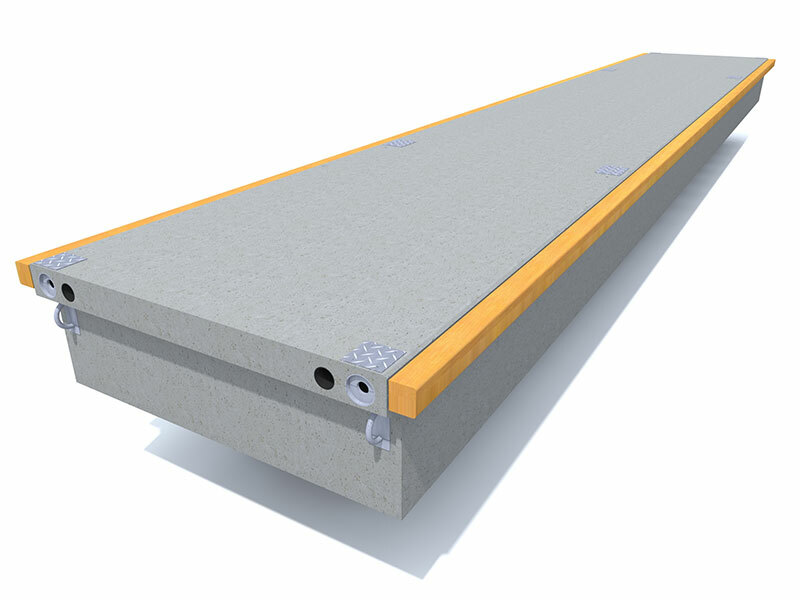 Options include different kinds of decking and cable ducts to carry water, power, grey water and ﬁre mains; and two different ﬁxing systems incorporating universal adjustments for ﬁngers. All ﬂoats have a unique anchoring system speciﬁcally designed to accommodate Seaﬂex for easy and safe mooring. Chain and pile mooring can also be used. As with all Marinetek concrete systems, Heavy Duty Pontoons are of exceptionally strong construction with a 50 year design lifetime. 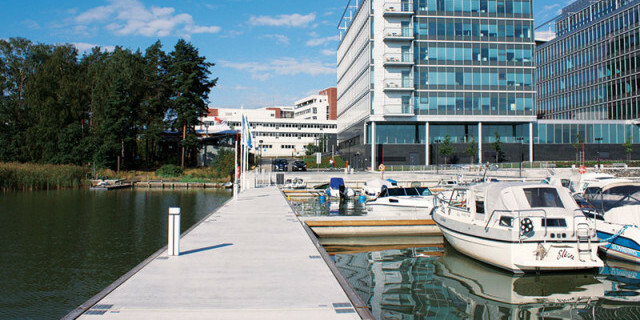 New Port Kalanokka in Finland has 3,3 m wide Heavy Duty pontoons.